Our Movement Joints have been specified on many projects including retail, commercial, transport, education, hotels, sport & leisure, prisons and even the Olympic Village at London 2012. Major car brands including Ford, Mercedes, Audi and Volkswagon to name a few have used our Movement Joints because they create a high class finish and when our Coloured Movement Joints are used we can also create a seamless designer look which is a preferred finish in car showroom areas. They are also used in the workshop areas because they are durable and have the ability to handle a wide range of loadings. 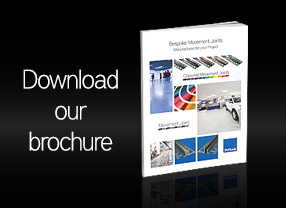 Not only can our CMJ movement joints cope with heavy stresses and distribute them evenly between the foundation and floor covering, they can also prevent conduction of noise from footfall and other bodies. 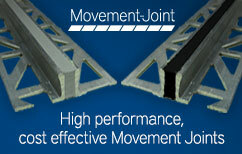 Even floors subject to heavy stresses remain in better condition for longer when our movement joints are specified.